The Foo Fighters will close Belgium’s Rock Werchter Festival on July 2 as part of a 2017 summer festival run across Europe. The four-day event sees the Foos wrap up the final night at Festivalpark alongside fellow weekend headliners Radiohead and Linkin Park. Presale tickets for Rock Werchter 2017 will go on sale November 19 at 10 AM via ticketmaster.be and proximusgoformusic.be. The Belgium appearance marks the fifth show revealed to date by the Foo Fighters, joining a list of festivals in Poland, Denmark, Spain and Portugal – with more expected to follow. The Foo Fighters cut a 2016 European tour short following terrorist attacks in Paris last November that killed at least 130 people and wounded hundreds, including many at an Eagles Of Death Metal show at the Bataclan concert hall. 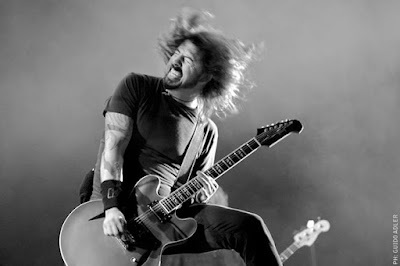 The cancellation affected the final four dates of the Foos run in support of 2014’s “Sonic Highways”, including shows in Italy, Spain and two in France. The 2017 shows mark the group’s return from a planned hiatus in 2016.